Identity for a new traders association, drawing upon ideas of community and celebration. The design can be linked to create lines of bunting. 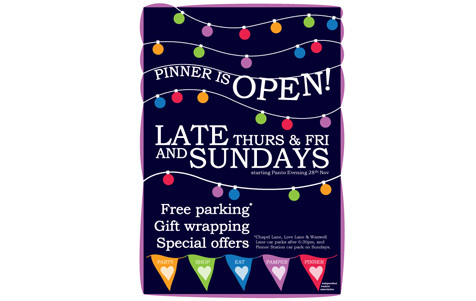 Poster, flyer and print advert, publicising extended opening hours for Christmas. 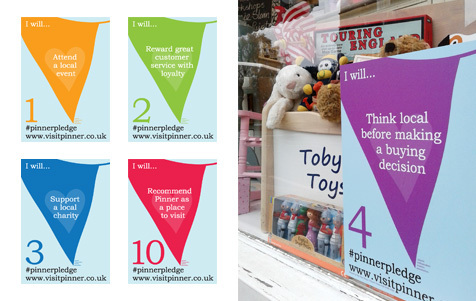 The original poster for the Pinner Pledge campaign, used in varying sizes and formats. 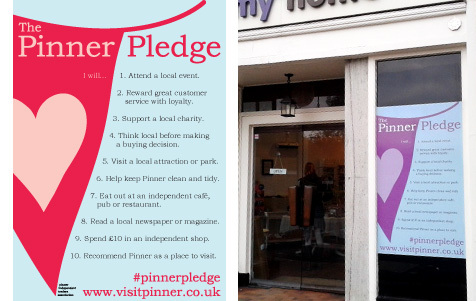 A set of 10 vinyl posters, displayed in shop windows across Pinner. 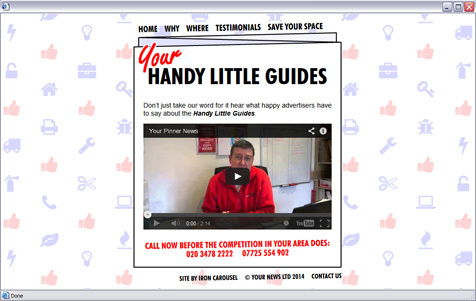 A simple 5-page website aimed at advertisers, reflecting the simple folding layout of the guides. 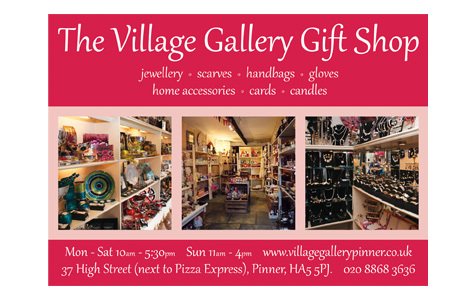 A6 advert for a gift shop. 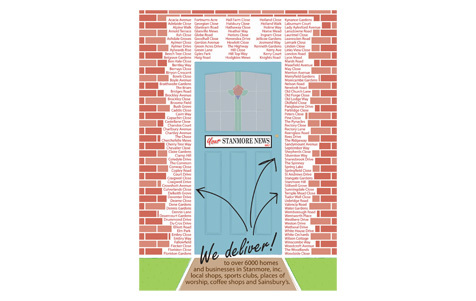 A5 flyer detailing the distribution area for Your Stanmore News magazine. 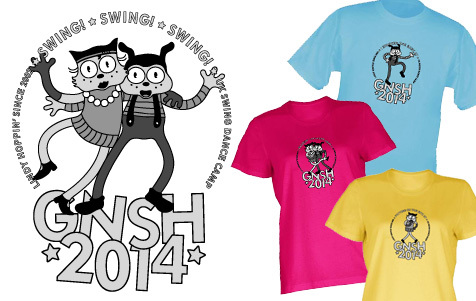 Range of t-shirts designs for an annual dance event. 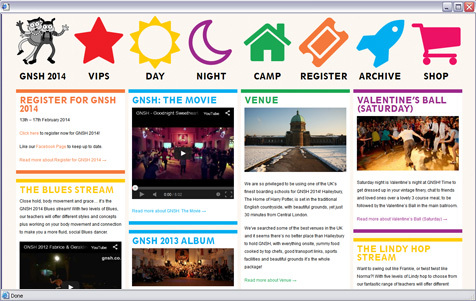 Website with responsive layout for iPad and mobile views, built in WordPress. 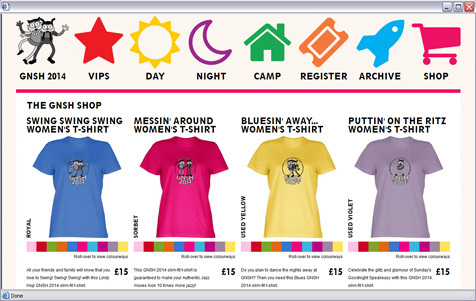 Paypal-based online shop with shopping cart.